My parents are both science teachers: which means they always ruined the secrets to magic tricks, they forced me to identify every tree by leaf and bark type, and we always created our own versions of ‘science-y’ toys. We used to cook our Easy-Bake Oven meals with foil and a light bulb, and created our own slime with cornstarch and food coloring. 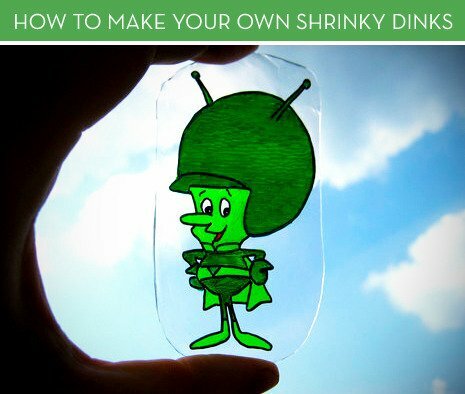 Which brings me to our homemade shrinky dinks.